Without warning, an earthly concoction of gray mud, steam and scalding water blasted in a steady stream hundreds of meters into the morning sky. A foul-smelling, rotten egg medley emanated from the site of the eruption, settling densely over the tropical landscape. Shrimp farmers tending the artificial pools within eyesight of the eruption began scrambling to protect their livelihood, unsure of what this catastrophe would mean. 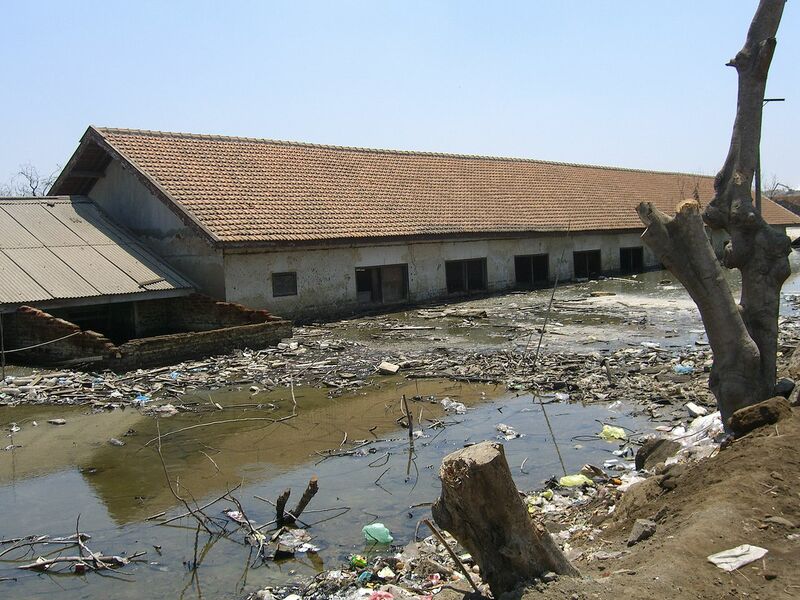 On that day in 2006, local residents in the Sidoarjo Regency of East Java, Indonesia, didn’t know that, 12 years later, mud would continue to disrupt their daily lives and engulf their homes. To date, 10 square kilometers of the former city are covered up to 30 meters (98 feet) deep with sludge. 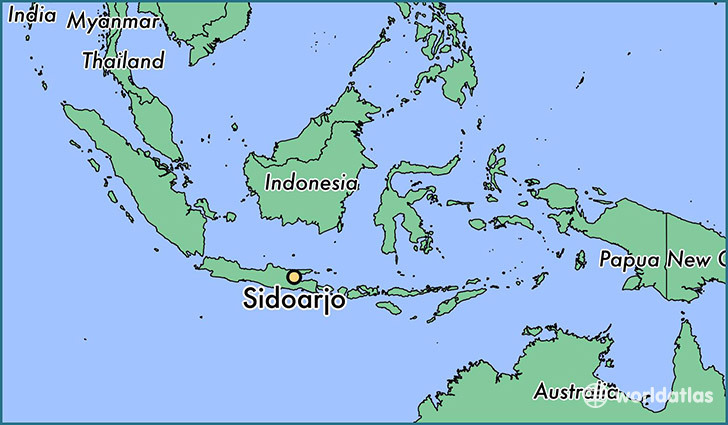 What no one knew for certain – and is still the burning question behind this event – is what caused this eruption known as “Lusi”, a contraction of the Indonesian word “lumpur”, meaning mud, and Sidoarjo. Michael Manga, professor of Earth and Planetary Science at UC Berkeley, has travelled the world seeking to understand the cause of events like mud volcano eruptions. He specializes in hydrologic responses to earthquakes, and during a recent visit to Oregon State University, he explained the likely causes of the Lusi eruption and other hydrologic phenomena unleashed by the earth’s shaking. For Manga, the big question is: Did an earthquake cause Lusi? He thinks that’s unlikely. To understand why, he describes how groundwater behaves during and after an earthquake and how it might produce mud eruptions. These gray, bubbling phenomena result when water and gas heated underground mix with mineral deposits closer to the surface. The hot slurry of minerals, gases and water exerts pressure and eventually force the mud up to the surface through cracks or faults in the formation, producing an eruption. Nearly 1,100 mud volcanoes have been identified on Earth, ranging in size from 1 to 700 meters (3 to 2300 feet) high. Most are associated with regions that are geologically active. The sulfurous mud pots in Yellowstone National Park are a well-known example. Lusi has produced more mud than any other. The relationship between earthquakes and mud volcanoes is complicated and worthy of research. Nevertheless, Manga laments the fact that these phenomena are not as spectacular or famous as their lava-spewing cousins. Scientists know that earthquakes can affect the movement of water underground and lead to a mud volcano eruption – or other surprises. Manga cites an example that occurred not far from his Berkeley residence. In 2014, a magnitude 6.0 quake struck near Napa Valley. Almost a billion liters of water, previously trapped in the surrounding hills, filled nearby streambeds, which had stood bone dry during months of drought. When an earthquake occurs, waves of energy move through the Earth’s crust. Groundwater interacts with these waves, and the hydrologic response can take different forms: geysers, soil liquefaction, mud volcanoes and sudden water flows in barren stream beds. The magnitude of an earthquake and the distance from the epicenter, says Manga, can determine whether or not water — or mud — discharges to the surface in a specific area. Manga’s research suggests that the most plausible explanation is an increase in the degree to which changes in rock and other subterranean material allow water to move. Ground shaking may create microscopic cracks that weaken the material to the point that water pressure will cause ruptures. One detail about the Lusi eruption may not be surprising: It occurred a mere 200 meters (650 feet) from a natural gas drilling operation. The company, PT Lapindo Brantas, maintains that the eruption was caused by a distant earthquake and cites Manga’s work as evidence. At first, Manga was thrilled to find that his work is relevant to the debate, but after investigating the event further, he realized there were inconsistencies between his models and Lusi. 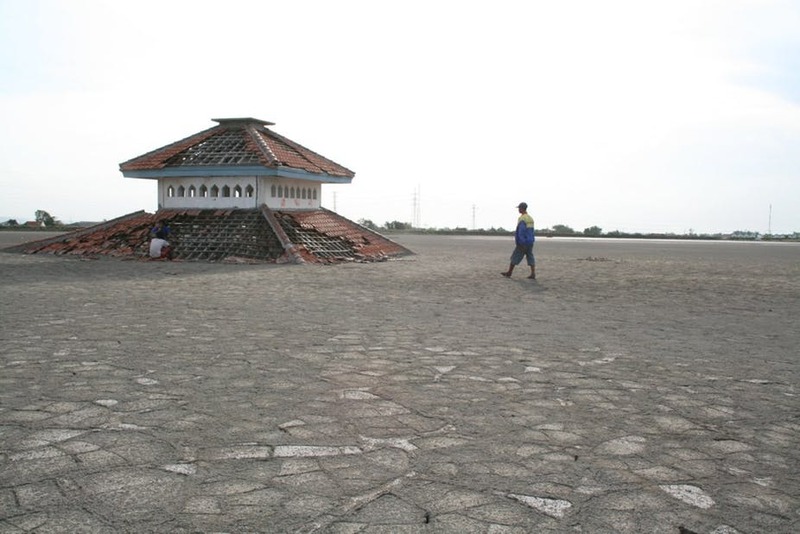 For one, the epicenter of the earthquake that PT Lapindo Brantas cites was 190 miles away from the eruption. At the volcano site, the shaking from that earthquake would have been impossible to distinguish from the passing of a heavy truck. Additionally, data from the drilling operation shows a “kick,” an influx of fluid into the bore hole, hours before the eruption. This finding indicates that the groundwater at this site was able to break through the hole because of cracks in the rock created by the drilling. The question of what caused the Lusi eruption continues to be contested in the political sphere. Knowledge of its origin could lead to holding a party responsible for dealing with the eruption effects. To scientists like Manga, the larger issue of how earthquake deformation and tectonic interactions produce hydrologic responses could lead to a more complete understanding of the fallout from massive earthquakes. One day, people on the West Coast may learn first-hand that an earthquake can have more devastating effects than we currently understand. Work by Manga and others will help us better prepare by anticipating the surprising effects that earthquakes might have on the groundwater under our feet. Note: Luke Schindler is an undergraduate in the College of Science. *To learn more about Michael Manga’s research, visit his website. **Oregon State University’s Cascadia Lifelines Program sponsors research on ways to mitigate damage to Pacific NW infrastructure resulting from earthquakes. Wear an emergency mask or hold a damp cloth over your face. If you are not evacuating, close windows and doors and block chimneys and other vents, to prevent ash from coming into the house. Be aware that ash may put excess weight on your roof and need to be swept away. Wear protection during cleanups.